The Dixon umbrella with Graphite round canopy will provide you with excellent shade from the sun. This size is adequate for entertaining four to six people. It features an easy to use pulley system, which is simple to put up and to close. 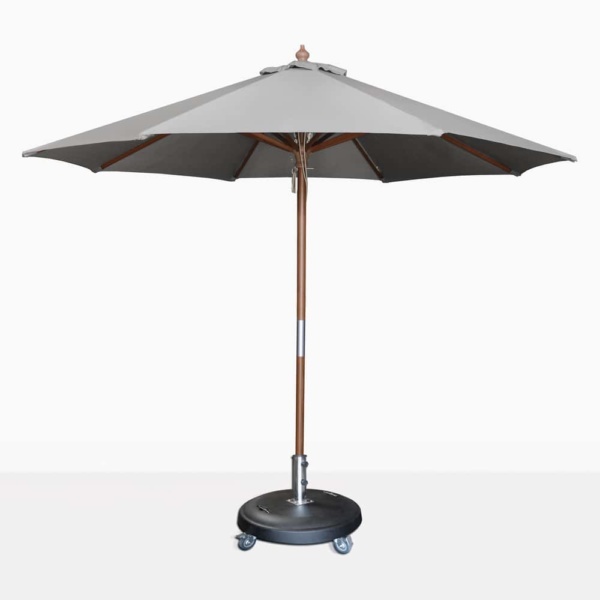 The canopy is made of light gray Graphite Sunbrella® fabric, perfect for sun protection and non-fading. The base shown is not included in the price.